If you have a big party you can call us and our chef will prepare a delicious and unique menu for your guests inspired by traditional Italian cuisine. 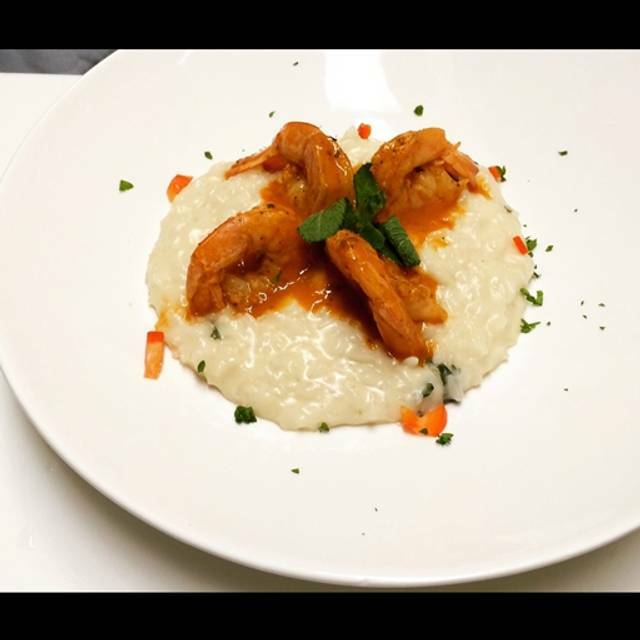 At Red Carpet Italian Restaurant, we love to share memorable experiences through our cuisine and our service. Here you will enjoy a local family-owned restaurant experience with traditional Italian recipes, fresh pastas, homemade sauces, artisan cheeses, great wines and our famous “Nonna” dessert selection; all made with fresh ingredients from local producers and the finest selection of ingredients imported straight from Italy. We invite you to share the love, the family, the table and our passion for flavors. This is a hidden gem. Located in a bad looking strip mall near home depot calle ocho, and with a name like Red Carpet, you would never think this is a great Italian restaurant. The food is amazing! Ask for the fig salad (not on the menu) it is really good. 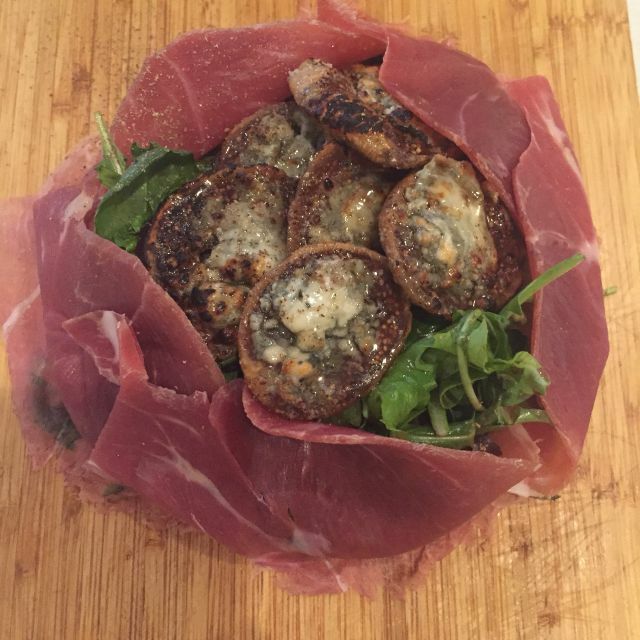 We like to order it as an appetizer to share. 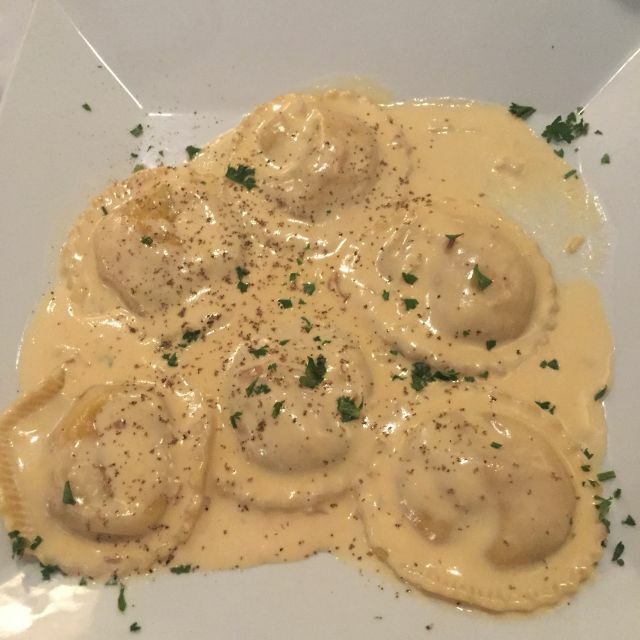 The crab raviolis are perfection. Actually all their raviolis are !!!! If you are not into pasta they have chicken dishes and meat like veal scallopini with mash potato that are also good. The pannacotta for dessert is a must. The service is excellent. This restaurant is family owned and you can see how dedicated they are to offer great food. Prices are great specially when you compare them to all the bad and mediocre restaurants we have in miami now charging as if their food is rated 3 Michelin stars ! A very pleasant surprise, our first time to Red Carpet and it will not be the last! Amazing food, definitely unexpected for the random strip mall location. Fresh fish specials, great pasta dishes, and thin pounded chicken and veal. Flavors were perfect on each dish For our party of 7! Great garlic rolls too. Excellent meal. Very friendly family spot near the Gables. Love love love red carpet. Incredible food. Never disappoints!!! We are repeat customers and so are our guests that have had dinner with us at a previous occasion. The food is excellent and the service commendable. Small hole in the wall place in a strip mall. But don’t let the outside fool you. The food was amazing. The flavors so intense, I wanted to lick the plate clean. Plus our waiter (who seemed to also be the host or owner) was very friendly and went out of his way to assist us. Will definitely be returning. This is my 5th visit to Red Carpet and every experience has been a great one. I visited Red Carpet on Sat. 1/16 with a total of 8 guests in our party. We ordered from the evening specials and from the menu and all 8 of us enjoyed a delicious meal. Red Carpet never disappoints and we will return again soon! Very polite and professional staff. Quite restaurant were you are able to have conversation. Good Italian food. We have been very pleased with our dining experiences at your fine restaurant. Each of our friends that we have brought with us have felt the same, as they continue to introduce additional friends and family to the Red Carpet. This recent Valentines' day dinner was the best yet. Staff of mother and son makes one feel "at home". Went on a week day so it was not full nor noisy (which I do not like). Me and my son and daughter were able to relax and talk at ease. Menu short but everything sounded great and plenty of specials of the day. Must have the guava cheesecake homemade by "Mom". Will definitely go again and try other dishes. Food was delicious and and a good presentation. The service was excellent and very nice music at an enjoyable level. It was between lunch and diner so the place was not full but with four or five tables and the ambiance was nice. We will return and recommend it to friends. We looked on Trip Advisor for a restaurant near the Miami Dade County Auditorium as we were going there to a show. The restaurant had great reviews so we decided to try it. It is located in the Little Havana area,so we did have some concerns, but they were unfounded. The food, wine, atmosphere, and service we all very good. The place filled up quickly and was very lively. I believe they had to turn those without reservations away so we were glad we had made them. Overall, it was a very good experience and we will go back again. Very Cosy , extremely clean good music and excellent home made food the perfect combination to be a good place to recommend! A small, intimate, family owned and operated Italian restaurant. Though the menu is fairly limited, everything my group and I ordered was great. A nice touch, The owner came by each of the tables. With a friendly warm smile. We were seated as if we're are family. 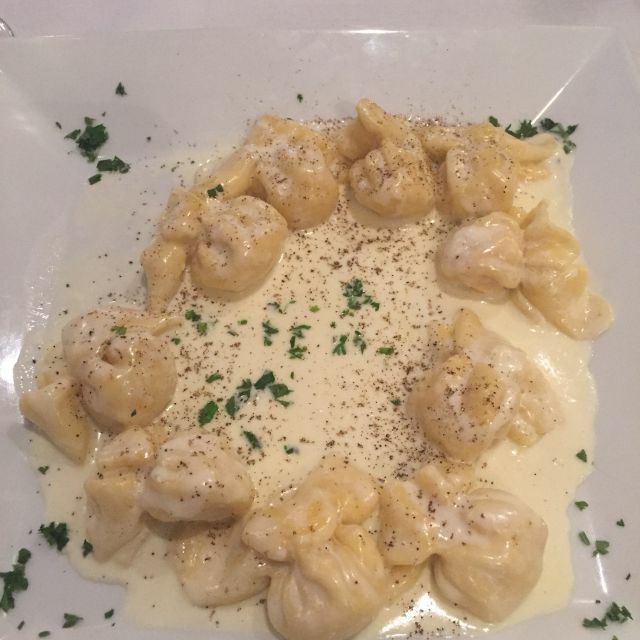 The Red Carpet Italian Restaurant infuses love and passion into their housemade pastas. Mom motherly makes the incredible desserts. If I was a local... I would be a regular! Was not expected but was very pleased. The place is great loved the food and the service was great. 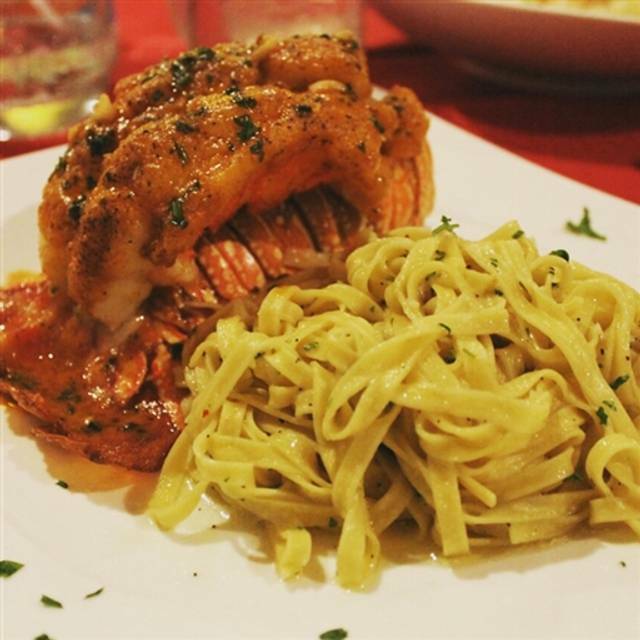 Incredible family run Italian Restaurant with outstanding fresh food. True gem. Amazing service, presentation of food was beyond our expectations, and everything about this place was very good. Usually gets busy around 8pm. Had the crab stuffed ravioli, the chicken Parm, the veil. All were excellent. Good, decent family owned and operated. Always our “go to” place. Enjoy! Worthwhile for a solid Italian dinner. Pretty awesome food and the service is just spectacular. Best place for authentic Italian in Miami by far. Excellent !!! My favorite restaurant bc of the food, service, and great price. Red Carpet just never seems to fail to deliver a nice dining experience. It is family owned and operated. Don’t go there expecting professional white glove service. But you will receive friendly, efficient service and the food will be excellent. My octopus appetizer and veal Milanese were both very good. We did not order dessert but the nights special was brought, on the house, for us to try. Again, like the rest of the meal, it was excellent. This is the type of hidden gem which makes dining fun. This was our first time dining at Red Carpet. I chose this restaurant looking for an authentic Italian dinner experience. The whole of the restaurant was Spanish speaking, and our first server who ended up dragging her feet (not wanting to help us because it was the “end of her shift”) spoke only basic English. The service was unfortunately inattentive for the most part. They mistook one of our entrees, which never even made it to the table. The food was good, but by no means great. Wine list was limited, as was the menu. For a “special occasion” restaurant, this place missed the mark. Ambiance, food and customer service are outstanding. Amazing service and food. We love red carpet Italian. A lovely restaurant with wonderful food and an attentive staff.